Friday, April 19 Owner operated. Results Guaranteed! Serving Haymarket since 2002. Commercial and Residential. 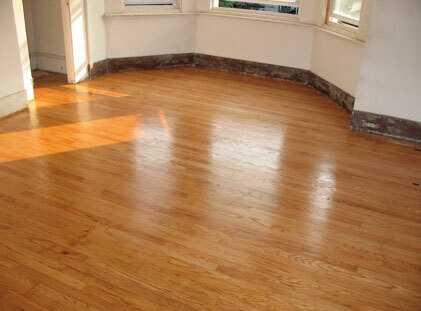 A+ Carpet Cleaning & Flooring has provided Haymarket hardwood floor installation services since 2002. The professional Hardwood Floor Installation services provided by A+ Carpet Cleaning & Flooring will afford the sense of warmth and elegance of hardwood flooring to any room. Our professional team of installers, backed by experience, know-how and the most advanced equipment, will install the flooring of your choice. Call or email today for an estimate to add the luxurious look of hardwood flooring to your home or place of business. For many homes, there's simply no substitute for the classic beauty of a wood floor. And from selection to installation, nobody can bring the luster of wood floors to your home as easily as A+ Carpet Cleaning & Flooring. Whether it's a pale blond maple or deep brown walnut, glossy or matte, strips, planks or parquet, the professionals of A+ Carpet Cleaning & Flooring offer installation for an array of wood flooring styles in order to suit your home, tastes and budget. 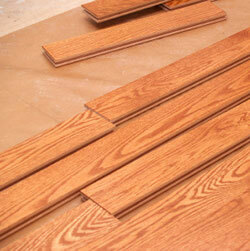 Make no mistake; installing wood flooring is a construction project that creates dust and debris. It requires tearing out and removing old carpet or flooring, and cutting and fitting new wood flooring. But, the flooring professionals from A+ Carpet Cleaning & Flooring can make it easy, affordable and relatively mess-free. Have the peace of mind that only comes from knowing that the job will be done right! Improvement made easy. Quality. Value. Guaranteed**. 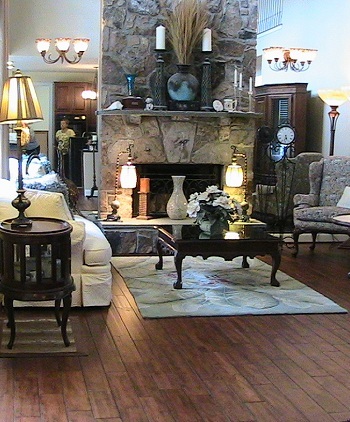 You can rely on A+ Carpet Cleaning & Flooring for the best in wood flooring and installation. One competitive price covers everything from start to finish, and we'll handle the project in three simple steps. Get an idea of the wood floor that best meets your needs. Then call us and provide the measurements of your existing floors (including any closets). One of our flooring associates will help you select your new flooring and give you an approximate price. If you don't see what you like, they can special order just about anything you want. With your agreement, we'll schedule an in-home visit to verify conditions and confirm measurements. On the day of installation, our professional installers will be courteous, efficient and on time. They will install your new wood floor, clean up and vacuum the area, and remove old flooring and all installation-related debris. When the work is done, the installers will inspect the flooring with you and explain care, maintenance and warranties***. What could be easier? And with A+ Carpet Cleaning & Flooring you can be assured we stand behind our products and our services. Haymarket - Hardwood Floor Installation at its best is available now. Call us at (571) 330-3849	for an estimate. Thanks. Our prices are extremely reasonable and we will not UPSELL you. Deep clean and deodorizer are FREE with all our cleaning services. No! extra charge for stairs.